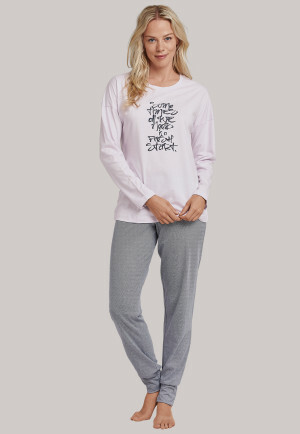 With our pajamas for women, we combine elegant or playful designs with high quality for a pleasant feeling against your skin. 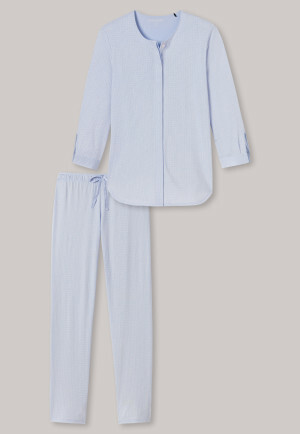 Make yourself comfortable and treat yourself to a touch of luxury. 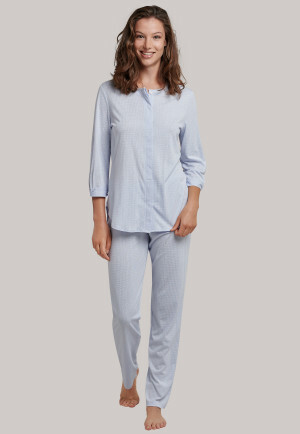 Pajamas will accompany you through the most relaxing hours of your life: cuddle up in a blanket with a fragrant cup of tea, start the day with a healthy breakfast and sleep in on the weekend - all in cozy pajamas for women. 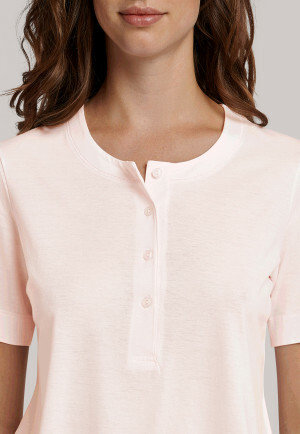 All the more reason to pay more attention to choosing your favorite garment. 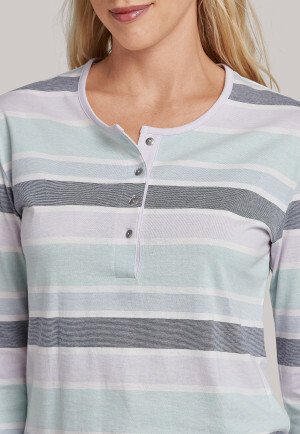 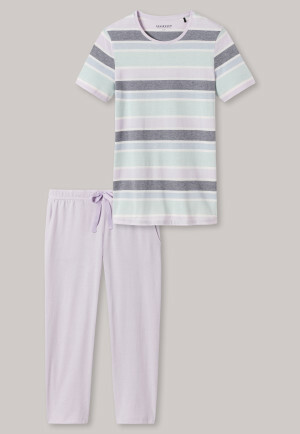 When you think of warmth with your pajamas, you're in the right place with soft materials like jersey or cotton. 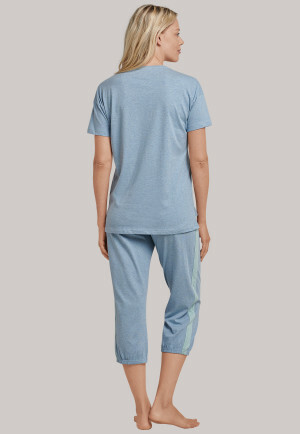 The spandex portion offers a sufficient degree of freedom of movement. 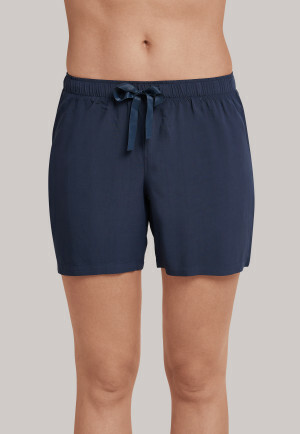 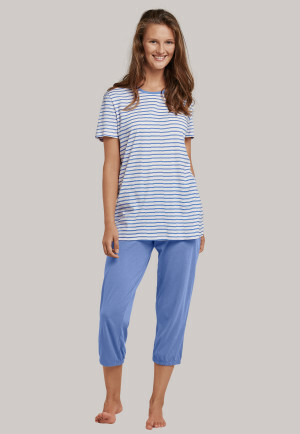 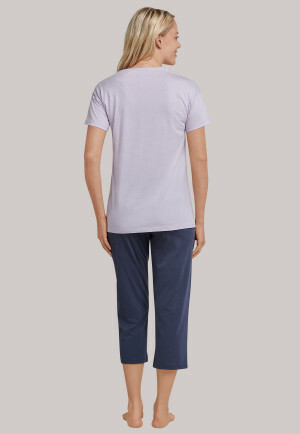 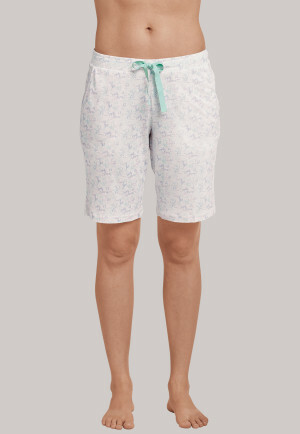 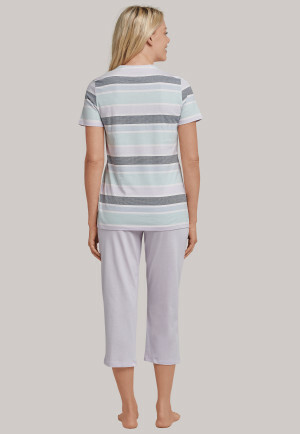 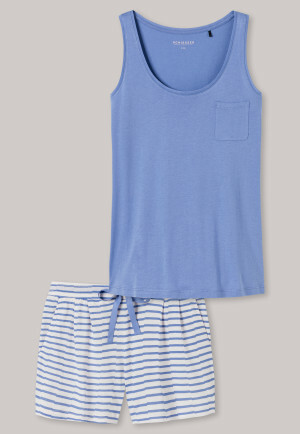 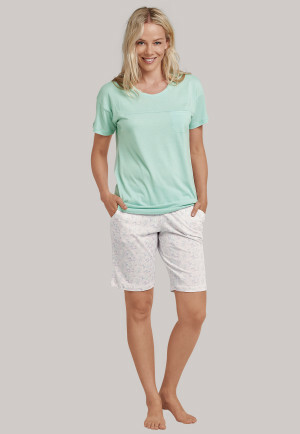 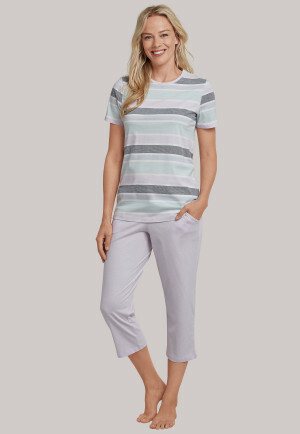 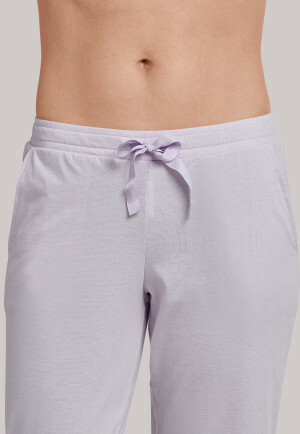 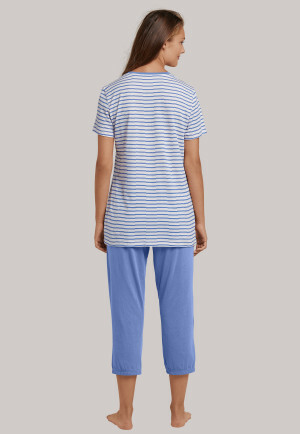 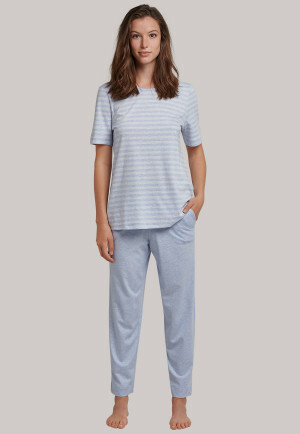 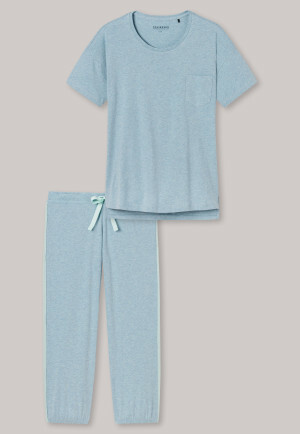 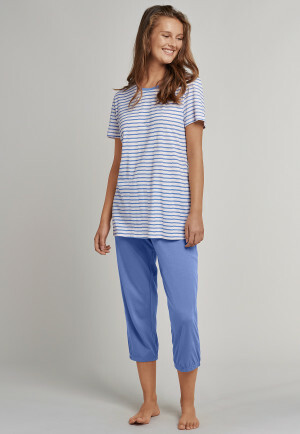 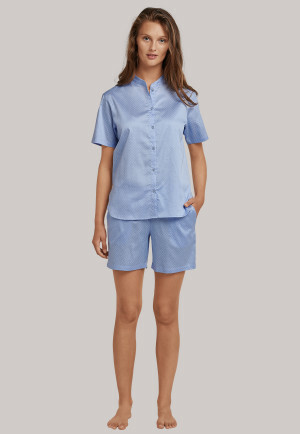 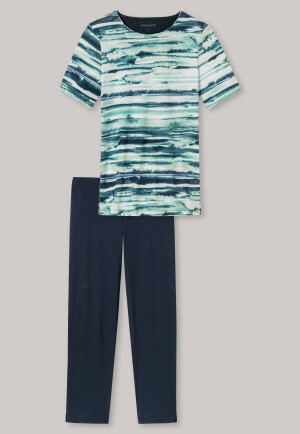 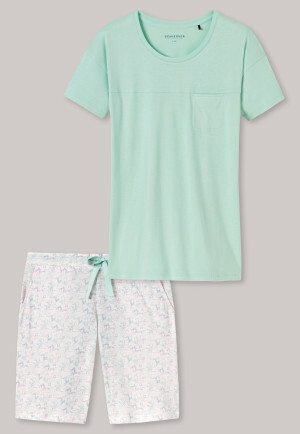 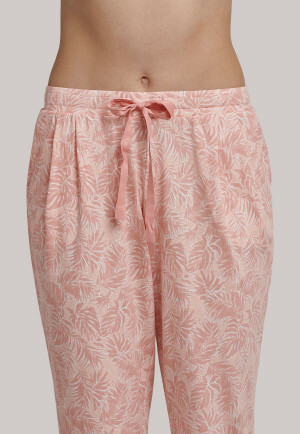 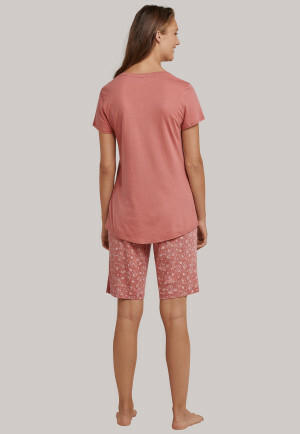 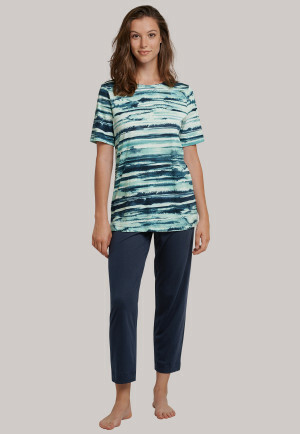 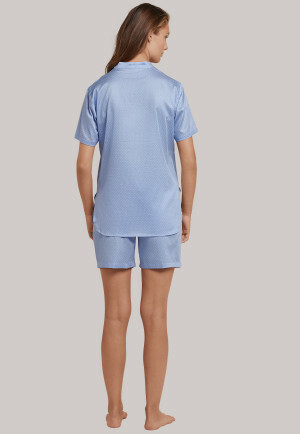 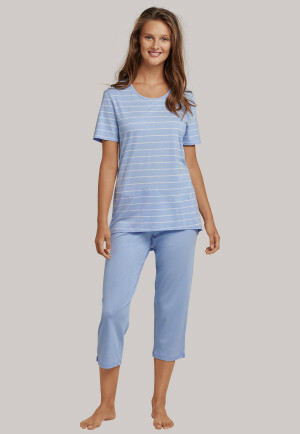 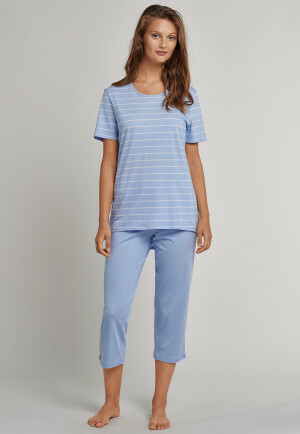 If you're looking for a cooler alternative, you can go for women's pajamas with 3/4-length pants or shorts. 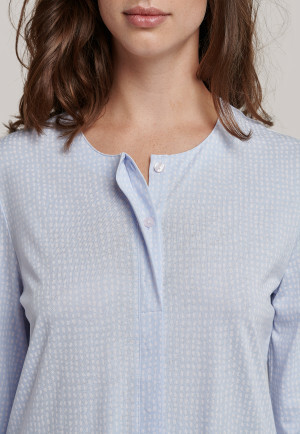 Do you like to wear your clothes directly on the skin? 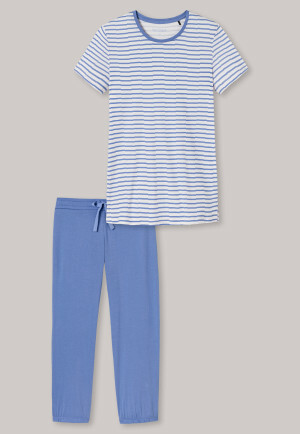 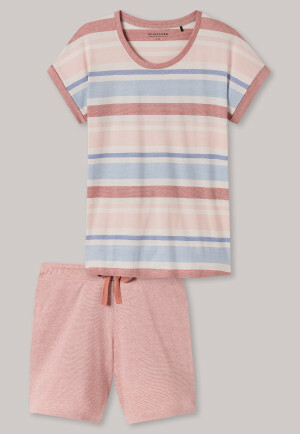 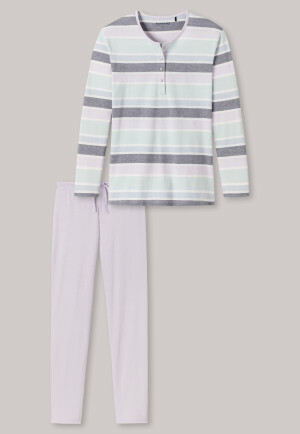 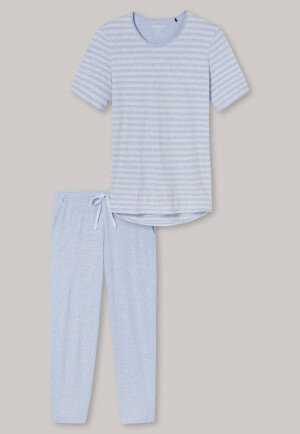 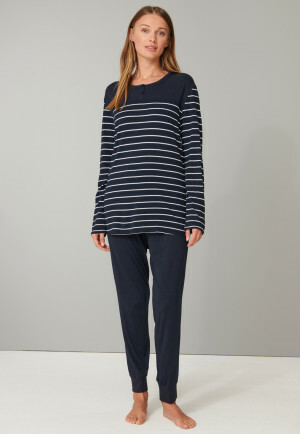 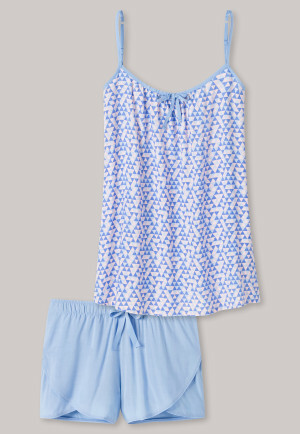 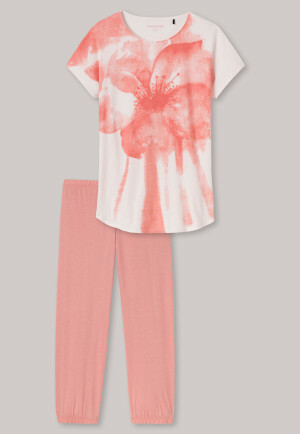 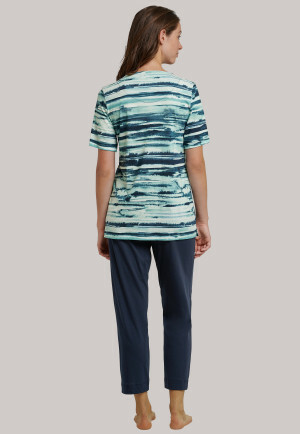 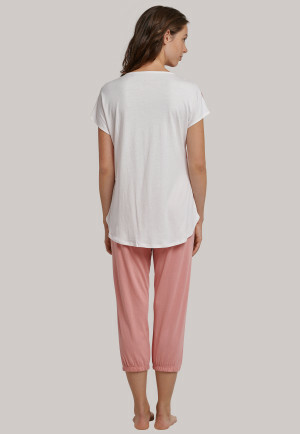 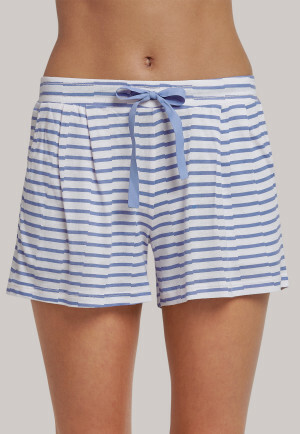 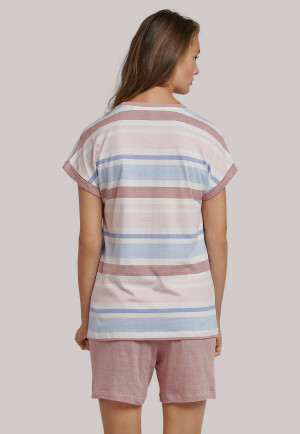 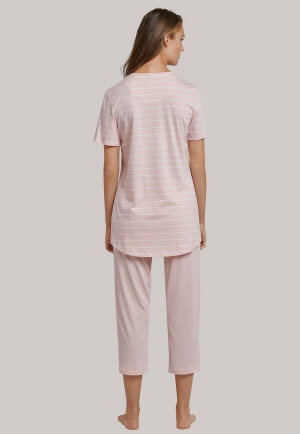 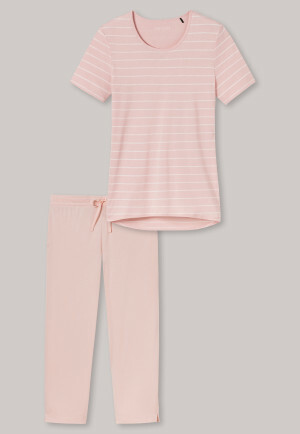 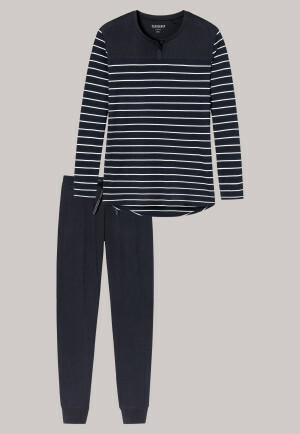 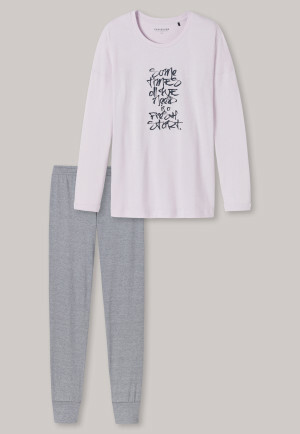 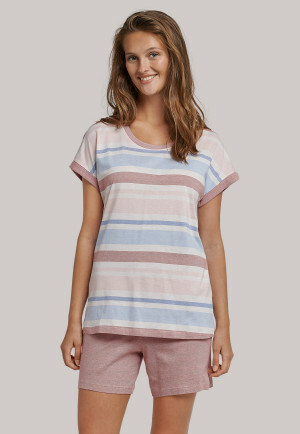 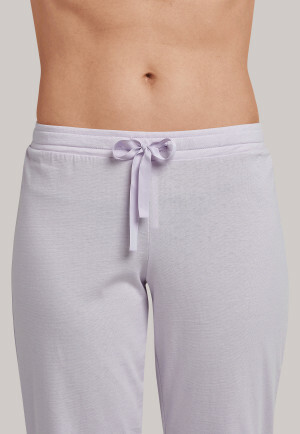 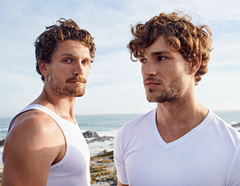 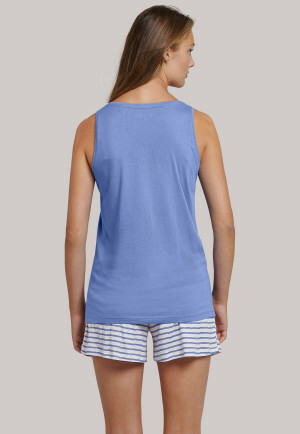 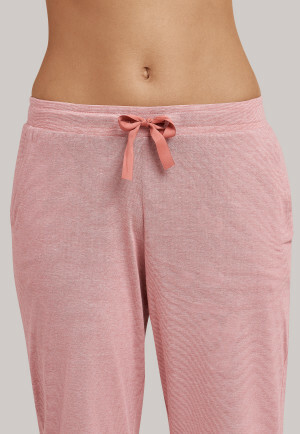 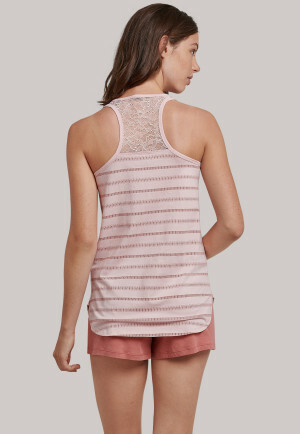 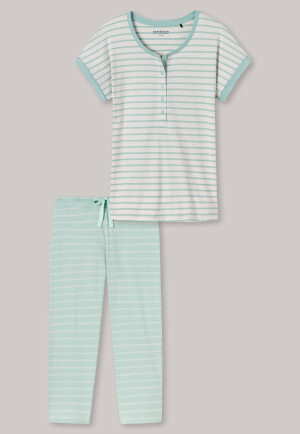 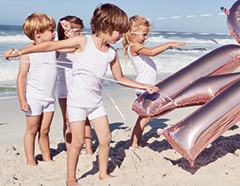 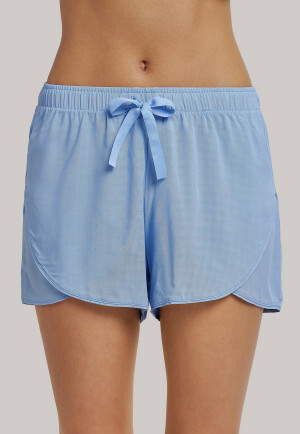 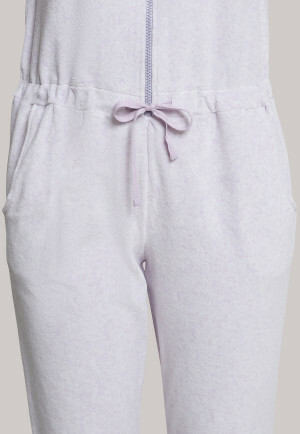 Then go for sleepwear from SCHIESSER, also available in cuddly leggings. 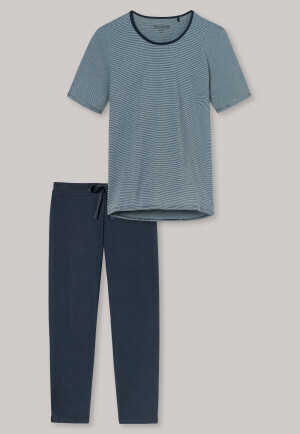 Even those who feel more comfortable in longer cuts get their money's worth in this collection. 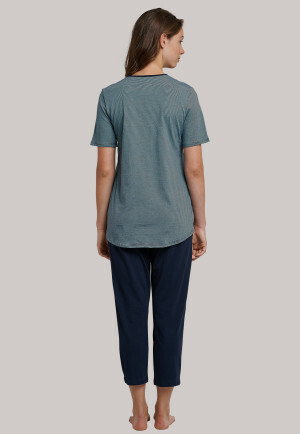 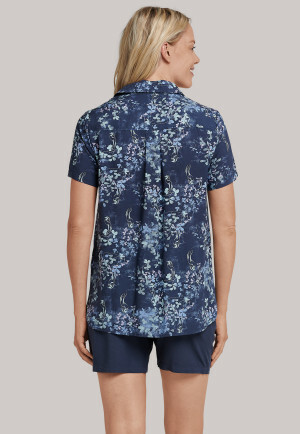 Cuffs on the sleeves and pant legs as well as drawstrings made of elegant satin ensure a perfect fit and guarantee that the garment does not slip during the night. For extra legroom, you also have the option of nightgowns for women. 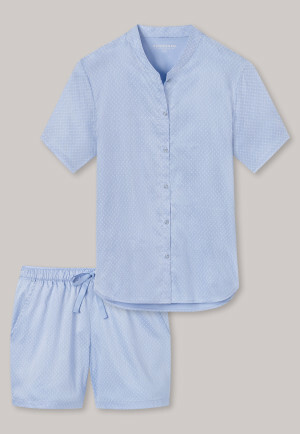 Of course, pajamas should first and foremost leave you with a pleasant feeling on the skin. 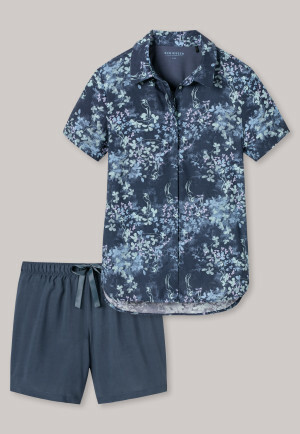 But appearances also play a crucial role if you want to feel completely comfortable. 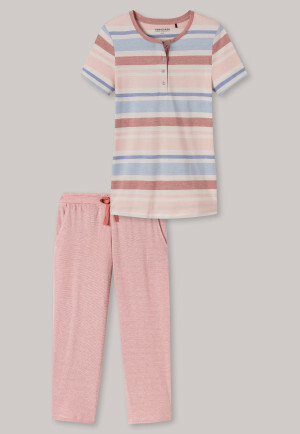 With charismatic colors such as burgundy, mauve, silver or olive as well as classic and discreet colors, there's something for every taste. 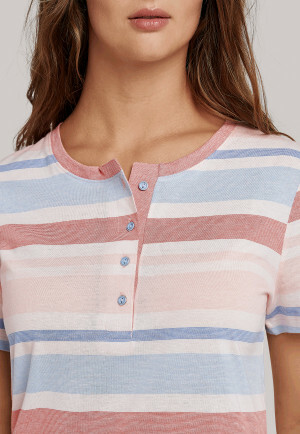 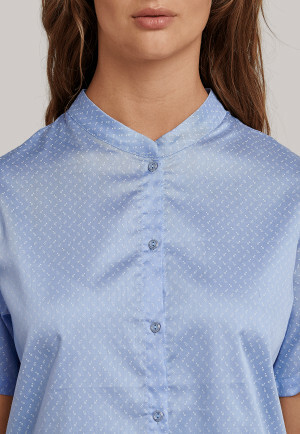 Playful details such as a button placket on the top, sophisticated cut-outs or fine decorative pleats create visual accents. 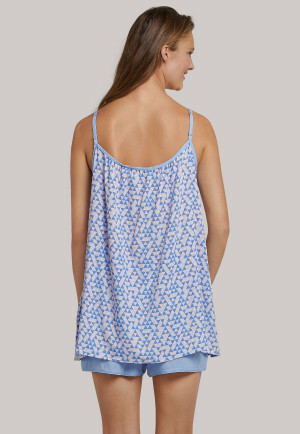 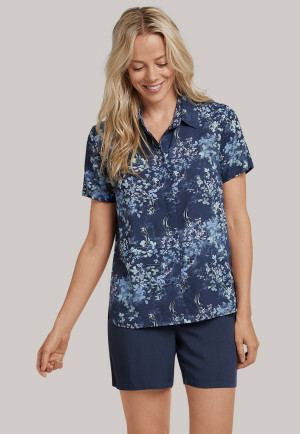 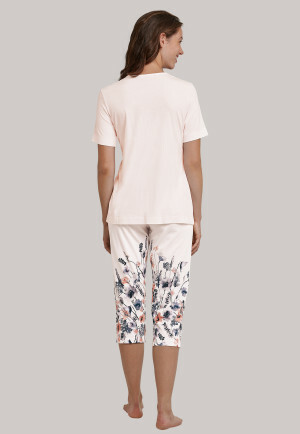 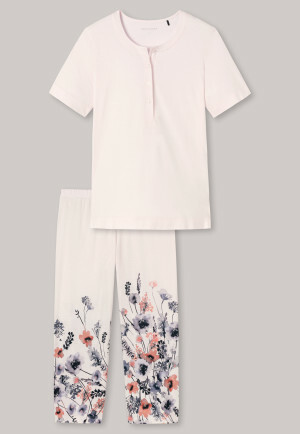 All-over prints, such as floral, ornamental or leafy patterns give these pajamas for women an elegant or playful character. 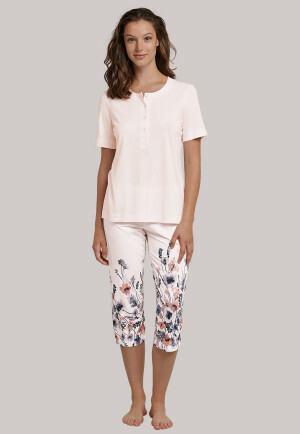 With high-quality long-sleeved pajamas with long pants for women from SCHIESSER, you're not just well-dressed. 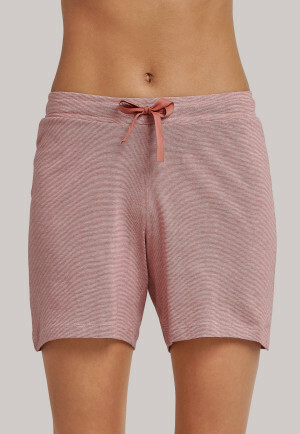 It also gives you a velvety soft feel against the skin. 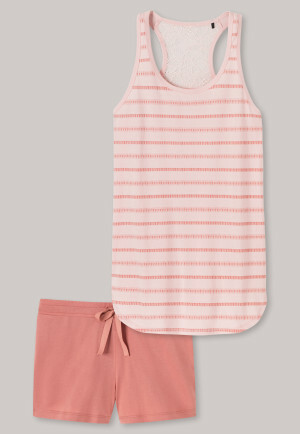 There's nothing standing in the way of a relaxing descent into dreamland.